As Jesus was walking along, he saw a man who had been blind from birth. "Rabbi," his disciples asked him, "why was this man born blind? Was it because of his own sins or his parents' sins?" "It was not because of his sins or his parents' sins," Jesus answered. "This happened so the power of God could be seen in him." 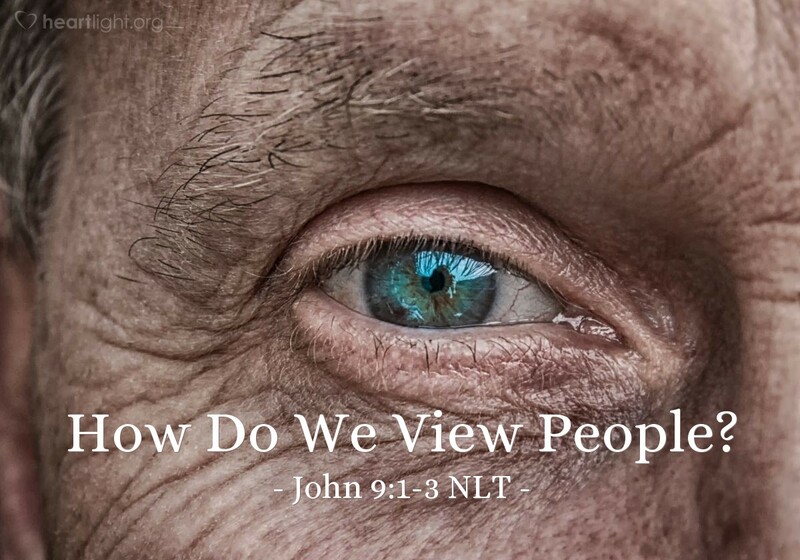 If you look carefully in this chapter, you will find a number of different ways we sometimes look at people and dehumanize them for our own benefit. Jesus reminds us that each person is someone made in God's image, whom God personally created, and in whom the work of God needs to be done! Lord God, maker of all things and all people, give me greater sensitivity in the way that I treat others so that it more perfectly reflects your desire to work in each life to bless that person and bring that person to your grace and glory! In Jesus' name, I pray. Amen.